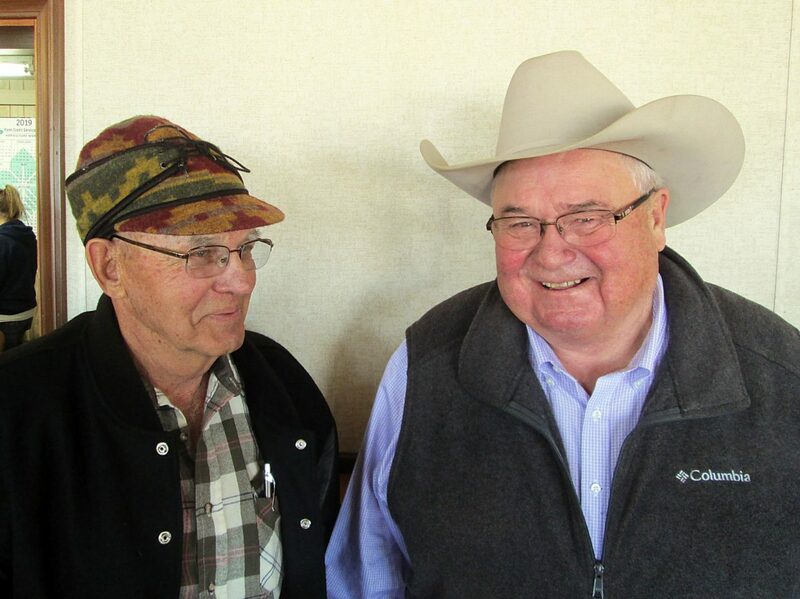 Longtime customer, Irving Jordan, Faith, South Dakota, with Auctioneer, Lynn Weishaar, Reva, South Dakota. 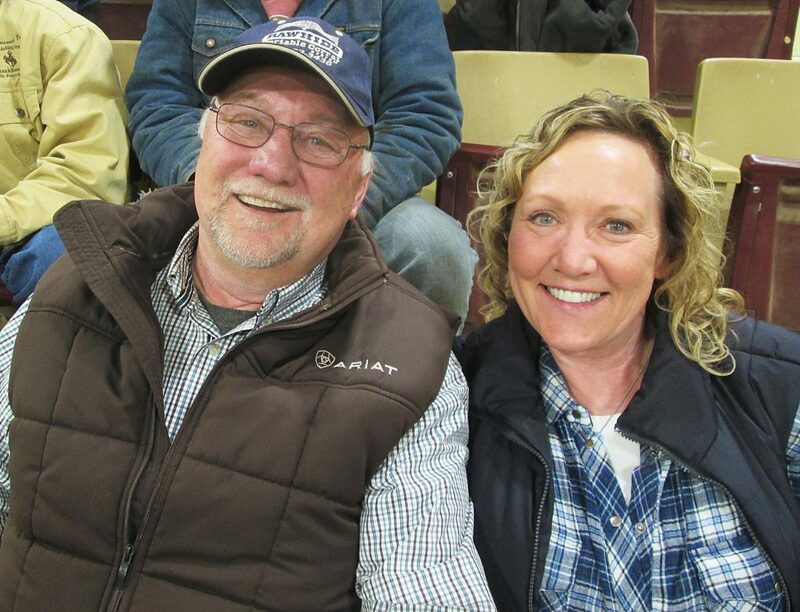 Randy and Lenee McQueen, White Lake, South Dakota, bought three bulls. Dave and Rhonda Lensegrav raise these bulls on their ranch, north of Faith, in the Meadow area. Dave Lensegrav had to postpone his sale for one week, and fortunately, was able to hold it just one week later. These bulls are stout made, with depth of body, plus mass and thickness throughout. The uniformity and quality stayed until the very end of the sale. I thought this was, perhaps, the strongest set of bulls Dave had ever produced. Loyal repeat buyers competed with each other, the telephone, and the internet to make this a very strong sale.